Get a dose of good taste with a Pure Protein® Chocolate Peanut Butter Bar. This deliciously sinful protein bar is pure high protein indulgence that gives you 20g of protein, 3g net carbohydrate per serving, and over 14 essential nutrients including 20% of your daily requirement for many important vitamins and minerals such as Vitamin C and Calcium. 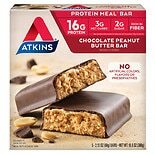 Pure Protein® Chocolate Peanut Butter Bars can be incorporated into many dieting plan, but are especially good for high protein/low carbohydrate dieters looking for a mouth-watering way to get their daily nutrition. 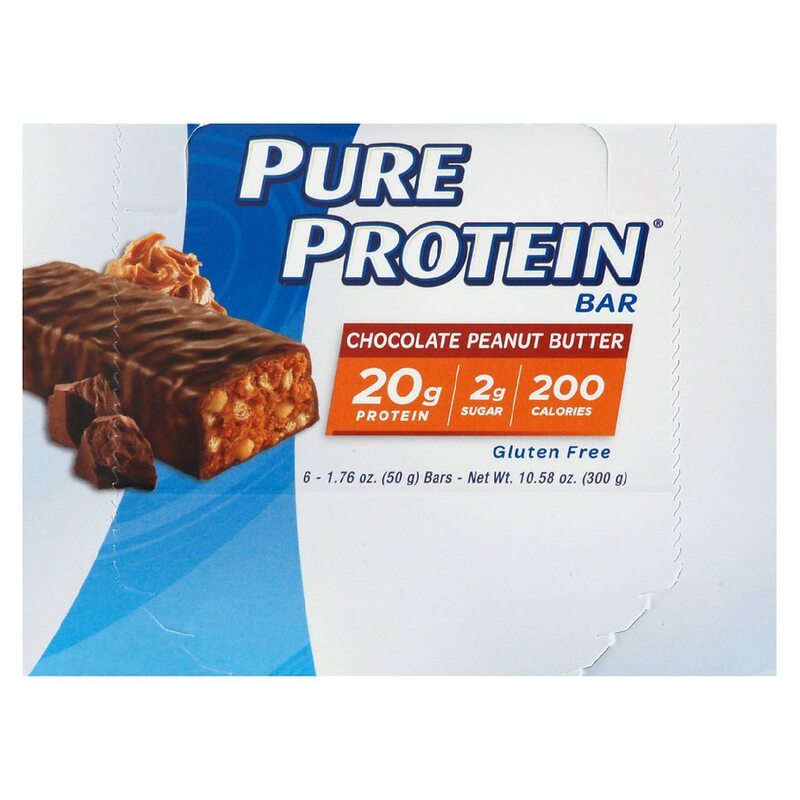 *** Pure Protein® Chocolate Peanut Butter Bars help you deal with those annoying hunger pangs that may occur while following a low carbohydrate diet. *** The delicious chocolate chip flavor is one more reason to try them! For those watching their carbs, count 3 grams. The remaining carbs have a lesser effect on blood sugar. ***When used with a low carbohydrate, reduced calorie diet and daily exercise program. Adults, for best results drink 8 ounces of water or other liquid with this bar. ©Worldwide Sport Nutritional Supplements, Inc. If you have diabetes, hypoglycemia or a sensitivity to sugar alcohols, consult your health care provider for appropriate inclusion of this product into your individual dietary plan. Allergen Warning: This product contains milk, soy and peanut ingredients. Produced in a facility that also processes egg, wheat and tree nut products. This product contains sugar alcohols, which may cause gastrointestinal discomfort. Tamper Resistant: Do not use if foil wrapper is torn or missing.